Dragon1 is BPM software for the Analyst, Designer, Architect, Manager and CIO at Small Business (SME) and Large Business (LME) Organizations. Now it is possible to model processes on the Dragon1 platform in four different languages: BPMN, Flowchart, Business Modeling Canvas and Dragon1 Process Modeling. Dragon1 as BPM Tool works compliant to all these language specifications. Dragon1 is your BPM Tool to excel in business process modeling, business process architecture (BPA) and visualization of business process mapping. Dragon1 supports the old fashioned way of process modeling, but also provides some innovative new process modeling options and features, mainly visualization, interactive maps and scenario analysis. On this page we show you this, so you may consider Dragon1 to become one of your BPM Tools. On Dragon1 you can create understandable process models with large icons. You can create a static diagram and a dynamic diagram. A dynamic diagram means that you create a model with a view on top of it. The view shows a subset of the model with different symbols. And you can define as many views as you like on a mode. In this way, you can create per stakeholder a tailored view. If the data in the model changes, the data in the views change. So every stakeholder always has an updated view. You can create BPMN models on the Dragon1 platform. You can do it in two modes: restrictive and free. If you create a BPMN model in the restrictive mode, the Visual Designer web application will disallow to create wrong relationships. If you create a model in the free model, you are allowed to create any relationship you like. Afterward, you can choose to use the validator to have your diagram checked on allowed and disallowed relationships and modeling rules for BPMN. When you want to document, model and communicate business architecture and business processes throughout the organization you can use the BPMN modeling language for this. Read how to use BPM Tools such as Dragon1 for the design, visualization, communication, realization and management of architecture diagrams with the BPMN modeling language. What is modeling architecture with BPMN on Dragon1? With BPMN modeling you can make high-level business models, process models and other important models. With modeling, you only 'catch' what is needed to communicate. You do not try to imitate or copy the real world. That would make your process model huge and incommunicative. Users like to work with common types of processes. For example, three standard types of processes are: Chain, Business and Work Processes. In Dragon1 we have prepared these standard types for you, so you can distinguish between these types of processes right away. Suppose you want to give people access to your process models for viewing or you want to compare process models. That can be done easily in BPM Tools such as Dragon1. BPMN modeling on Dragon1. Dragon1 as BPM Tool for BPMN tool support, offers the ability to create models, import/export to Visio and Excel, import/export with other BPMN modeling tools via XMI/XML, working with a real repository (Oracle or SQL Server database) for defining and sharing building blocks, and publish them on the internet. 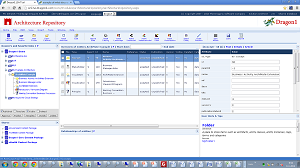 The Resource Center can become the BPM Wiki of your organization. Anyone (with a valid login) can enter it, for instance via a link on the intranet of your organization. The Resource Center (your BPM Wiki) is meant to upload, document and publish the input document for analyzing, designing, modeling and architecting. This enables collaboration on process modeling and business architecture design in a multi-user or multi-team environment. So if in teams process models need to be designed the Resource Center could contain all the background resources needed by the team. Also, management can see or check if the correct and all important background documents are available. You can style the Resource Center as intranet website or as wiki website. You can brand the Resource Center for your organizations' corporate identity (fonts and colors). In the Resource Center, a configurable mini website within the tool, you can administer/publish your rules and policies on naming conventions, your own shapes, CRUD-matrix and generic/standard types for BPMN-concepts and also design best practices. An important thing is to communicate clearly the version of BPMN that is used in the organization. 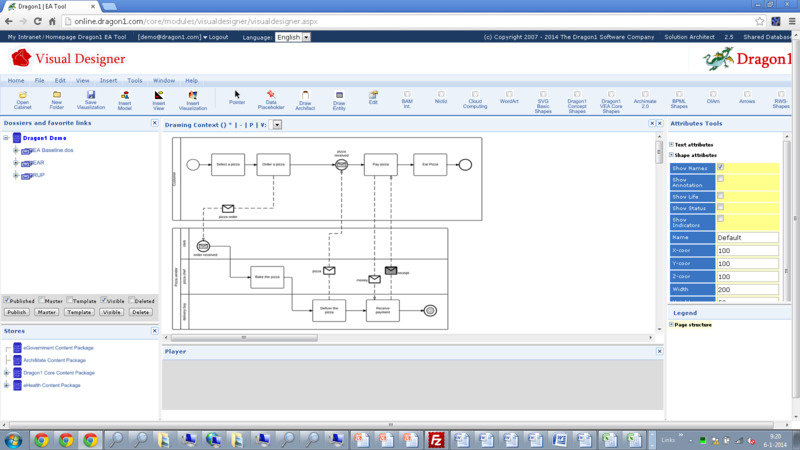 Here is a screenshot of a BPMN Modeling usage published in your own Resource Center here. The Architecture Repository is for storing and managing all our business process modeling entities and beyond (also application and technology entities) and creating metamodels, user models and instance models (compliant to meta-metamodeling) with it. In the Architecture Repository business processes can be documented fully from A to Z. Globally and in a lot of detail. You can also link to other tools where details on the processes are. In the Architecture Repository you can drill down or surf through your models or let other people, with the ability to edit the processes, surf and drill down the processes. In the Architecture Repository you can create text documents and presentation documents with your business processes and export them to Word, PowerPoint and Excel and other formats. You can store videos, pictures and all other content you want to store. If you want to educate or train someone in a process or process model that also can be done. 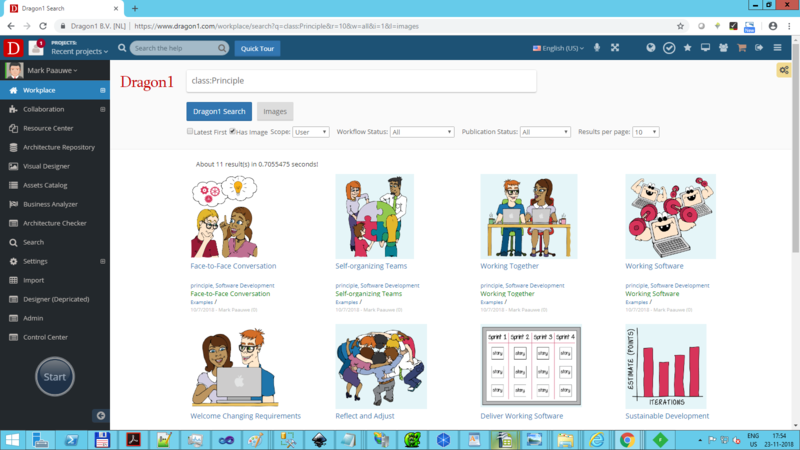 You can create an eLearning module in the Architecture Repository which shows in a certain order text page with pictures and asking questions or suggesting exercises. You can import and define alternate BPMN Shapes in your own Shapes Collection and reuse the BPMN Meta Model for your own metamodel and store naming conventions rules. You can modify or create new metamodels for process modeling in the Architecture Repository to make modeling languages fit your situation optimally. You can let discussions take place at the right time by the right people on how to apply a standard in your organization. 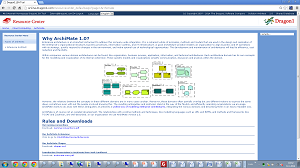 Watch a screenshot of usage of BPMN in the Architecture Repository here. The Visual Designer is perfect for creating effective communicative decision supporting visualizations and scenarios of your business processes. With Dragon1 you can take the next step on models and diagram: Business Process Visualization and Business Process Transaction Data Mapping / Data Visualization. 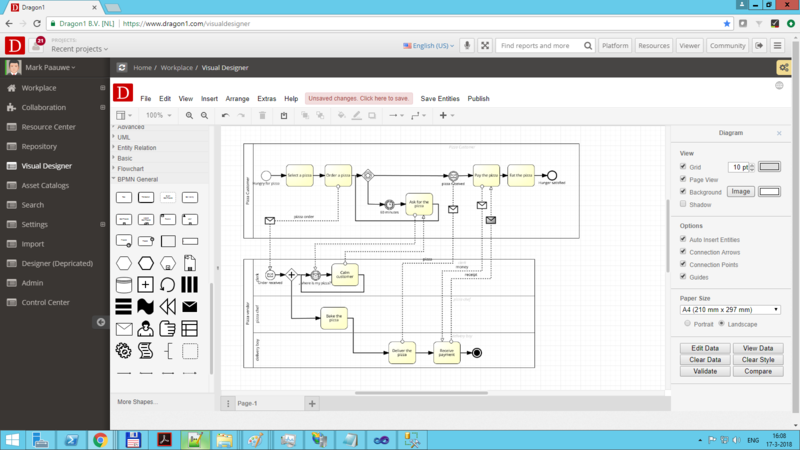 In the Visual Designer, you can create/design BPMN User models and diagrams derived from the BPMN Meta model. Next you can create a view of that meta model or user model and create a viewpoint diagram of that view. Working with Meta Models, User Models, Instance Models, Views, Viewpoints and Diagrams gives you all the freedom you need with BPMN. The Visual Designer lets you create and generate (based on imports or manually entered data) business process landscape diagram (A0 size posters), business process blueprints and business process artist impressions and business process roadmaps. In the Visual Designer it is possible to make the visualization interactive/clickable but also to export the visualization as large size printable architecture posters. In the Visual Designer you can work with Visual Items (i.e. Data-Shape Placeholders). With Visual Items, you can create templated visualizations, so if your model changes, the information on the business process visualization is automatically updated with you having to alter the visualization. In Visual Designer you can create your own vector shapes for business process and add icons to the process shape that take a certain color, shape or size, depending on values in your business process model. You can also quickly create a set of reusable sketch symbols for BPMN concepts and so create stereotyped BPMN diagrams in the way you want. You can design Migration Scenario Animation of Business Process in the Visual Designer and let play by other users (like managers) them in the Models Atlas. Suppose you want to automate the steps of a process and put them in the cloud in a controllable way, you can view that as animation. With this, you may address the concern of many stakeholders and satisfy them in what you show and how you control the risks. 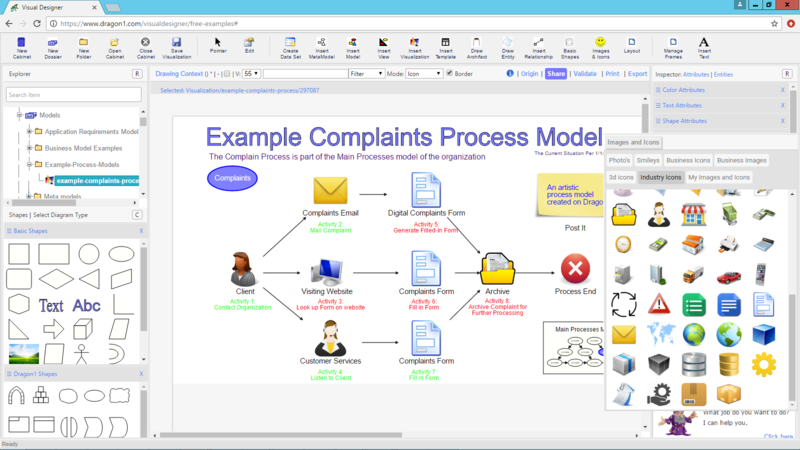 The Models Atlas is meant to publish your business process models and business process architecture visualizations in. In the Visual Designer and the Architecture Repository you have created content, in the Models Atlas, you can present it to anyone you give access to without them having access to design scribbles or other parts. It is the showroom versus the garage. With the Models Atlas you as Analyst, Architect, Manager or CIO can click through BPMN Diagrams Atlas and Business Models Atlas that has been created in the Visual Designer. All stakeholders (that have been granted access) can see for instance what requirements they have had or added and how they relate to chosen or designer activities, task and other concepts in the business process solution. The viewers of a Models Atlas can comment requirements of others. You as a viewer of the Atlas can promote and demote requirements will colors and z-order in the map based on their rank in a stakeholders matrix. This makes it easier for the owner client to decide between conflicting requirements. A viewer has options for tracking and traceability and context filters and highlight. 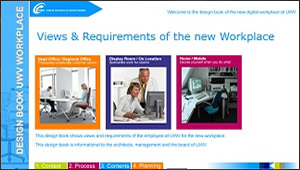 To the right is an example screenshot of the first page of an interactive Process Architecture Design Book that was published in the Models Atlas. 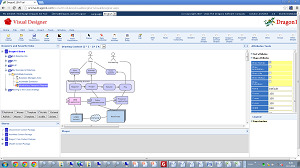 On the platform, you as Analyst, Architect or CIO can create an interactive concept design book in the Visual Designer and publish it in the Models Atlas showing and communicating the processes architecture, needs, issues, requirements, strategy and solution design created with BPMN. Enterprise Search is meant to make your Business Process Model information searchable and findable, but in a very visual manner, just like Google images search. Anyone of your organization that is logged in into the BPM Tool can do a search on information. If the information is published or has a status that grants people access to it, it will turn up in the search results. If you have documented or administered the Business Processes in a nice way (giving a name, title, description, image, category and tags), your business process and its related information will be found very easily. This search functionality is also used by managers and workers to check how well a Business Process is documented. When you fly over with mouse over a search result a popup box will appear showing more details/information on the process. The better access is to business process information and the more correct the business process information, the more benefit the organization has of you doing Business Process Modeling. BPM Tools such as Dragon1 enable you to do perform well on this. Dragon1 provides you with reporting functionality in a way that you compose any list of data, based on queries using the query builder. You can compare the lists you have created, you can save queries and with that create report templates. Next, you can export the data list to various data file formats or print it. We hope we have inspired you to start using Dragon1 as your BPM Tool.